Beautiful. Blue or black hard to tell. Beautiful, nicely done. 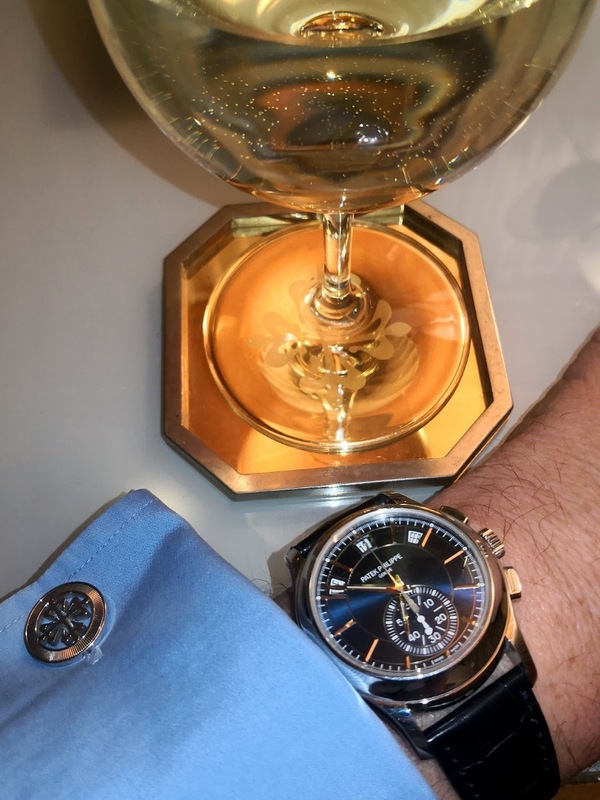 Truly complements your watch, the cufflinks.